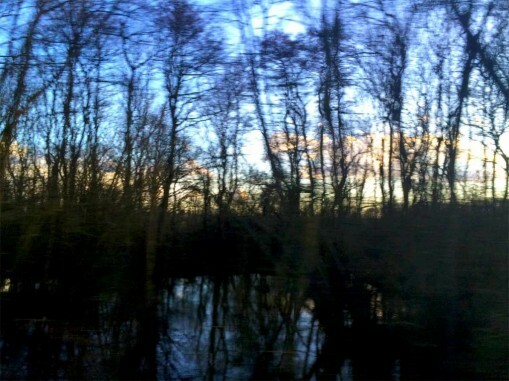 Train journeys can be liminal. I’m shifted; removed from the environment of home, travelling towards another kind of space. Somewhere between leaving and arriving I transmute into another version of myself; one with different roles and responsibilities. Structure isn’t absent on a train – rules of conduct remain – but within this it offers time-out from normal life to spend as one sees fit. I’m placed, temporarily, in the cracks between the different aspects of my life, transported through countryside and town, lulled into a semi-meditative state by sound, motion and flickering light. I use the time as I wish – sleep, read, people-watch, day-dream, imagine, create. I can adopt any guise – any personality – I wish. Other forms of travel (such as car journeys) don’t have this effect as they’re too distracting and require too much concentration to allow a liminal state to emerge. 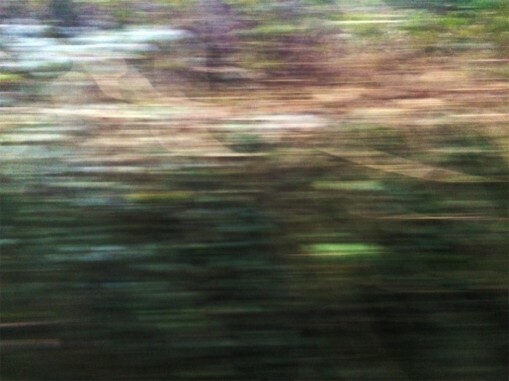 To use a train journey to create art, I suspect I must reach a liminal state if the work is to be as open, exploratory, inventive and effective as possible. Given this, train journeys are crucial to this project. 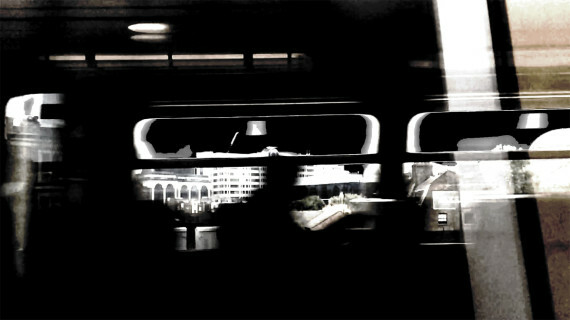 I want to investigate my new photographic work in more detail to understand what’s driving it. I’ll do this by asking myself a series of questions. Question 1: what is liminal space? This work investigates marginal spaces; overlooked places encountered on a journey to somewhere else. 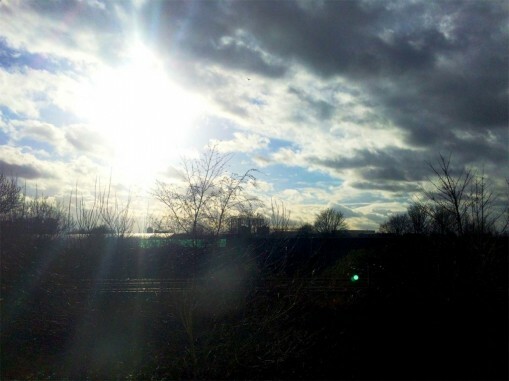 It consists of a series of photographs taken using a mobile phone camera whilst travelling at speed in a train or car, so framing a shot is a more matter of chance than control. They capture energy, motion, light and colour, producing theatrical shots where much of what’s depicted is mysterious and ambiguous. I think they need to be shown as multiples – one alone won’t work – a flickering view glimpsed as a journey unfolds. They might work as an online exhibition, a series of film stills or a set of postcards. In a gallery, they could be offered strung out in a simple line. The work involves lots of editing – taking masses of pictures and discarding most of them until I’m left with just a few that I can’t bear to lose. Currently, I’ve whittled things down to this last nine but maybe more should go? I’m unsure about scale. The postcard sized test was too small to show fine details. I’ve printed another one at 33 x 45 cm – a definite improvement, but could possibly go still larger, although the resolution of the shots might preclude this. It’s on cotton rag so has a matt watercolour feel about it.